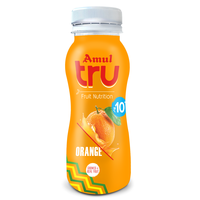 Amul milk comes in a wide variety of flavors and types. Whether it’s a milkshake or a simple smoothie. 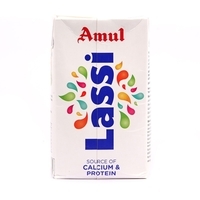 If your children don’t like the taste of milk - give them the fresh taste of Amul flavored milk, lassi, shakes and drinks. And milk would never be the same for them. 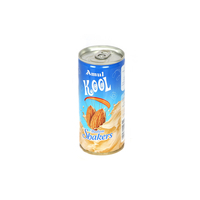 Not only kids, these drinks are a great stress buster for adults too. 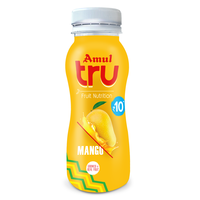 With so many flavors available - Amul has considerably upped the taste of goodness. 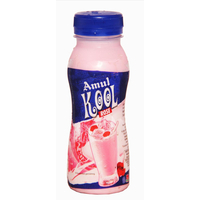 Amul kool flavored milk is the ‘in' thing which is a tempting yet healthy source of calcium, protein, and carbohydrates. 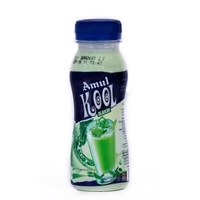 Amul online offers a wide variety of flavored milk, shakes, and drinks. 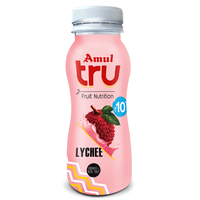 You can get Amul memory milk in Kulfi and fruit flavours in 200 ml bottles, Amul buttermilk, Amul Mango Lassi, Amul Rose Lassi, Amul strawberry and chocolate shakes, Amul pro drinks, Amul Kool Koko, Amul Kool Badam Shakes, Amul Masti Buttermilk, Amul Kool Thandai, Amul Kool Kesar and Elaichi, Amul Kool Cafe and many more in different volumes. 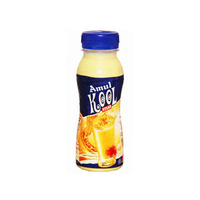 Amul Kool milk is the balanced blend of best quality fruit solids (Mango, Strawberry, Banana) and goodness of milk. 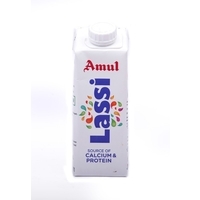 The Badam Milkshake contains milk solids and almond pieces. It offers longer shelf life and remains fresh for 6 months. It does not require refrigeration during storage. We all are aware of the benefits of having a glass of milk every day. However, it gets boring to have milk every day. 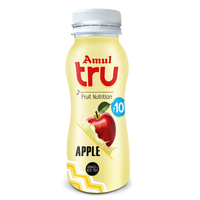 Flavored milk along with all the nutritional benefits of milk has the additional nutritive value of the flavor it is made off. 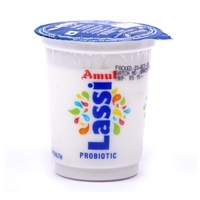 Convincing your children to finish their glass of milk is a very difficult task, but now with flavoured milk online it becomes easier to get them to finish it quickly without much fuss. 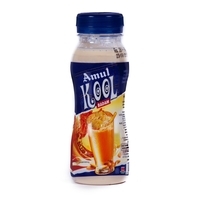 Amul Kool prices are affordable and you can even buy them at daily basis. 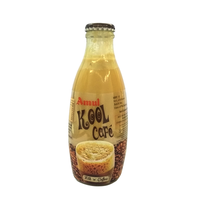 Whether you are running late for office, or need a quick thirst quencher - just carry a bottle of your favorite Amul Kool drink, ordered from Amul Online, and there you go!